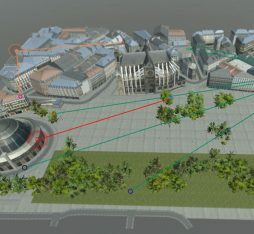 In Bercenay: the Orange teleport is celebrating its 40th birthday! Half the world's population, mainly located in emerging countries, has no access to the internet. How can we increase coverage in these sparsely populated areas at an affordable cost? Initiatives abound, from constellations of new-generation satellites to high- or low-altitude platforms. Here is an overview. It involves standing balloons like those offered by British company Helikite, the movement of which can be fully controlled (they are attached to cables). Positioned between 60 and 1000 metres above the ground, they are veritable aerial towers. They can be rapidly deployed in the field, and have often been used when natural disasters have partially or totally destroyed the terrestrial telecommunications network. This temporary capacity makes it possible to await the repair of telecommunications resources. And what about high altitudes? Between drones and satellites, High Altitude Platforms (HAPs) are platforms with on-board solar power and telecoms equipment, which are positioned at higher altitudes, more than 20 kilometres above the ground. HAPs could offer the benefits of geostationary satellites in terms of coverage while being less expensive to produce. Loon, a project using helium-filled solar balloons was launched by Alphabet, Google’s parent company, in 2013. 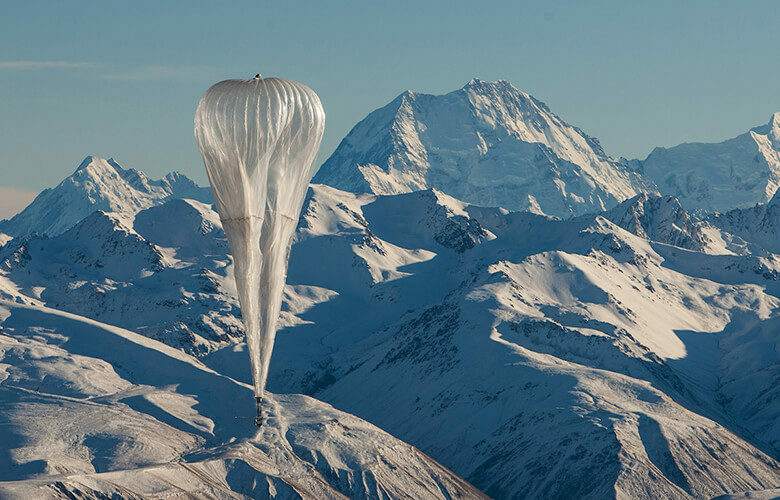 Although Google was not the first to think of using weather balloons for a telecoms application, its subsidiary Google X was able to control these so-called drifting balloons without having to wait for long prototype-testing periods to be completed. Located at low elevations (Low Altitude Platform), approximately twenty kilometres above the Earth, and operating for approximately three months, these balloons act as mobile communication relay stations in the aftermath of natural disasters. For example, in November 2017, when the hurricane that devastated Puerto Rico struck, emergency coverage was set up to provide an internet connection to 100,000 people out of a population of 3.5 million. It works like this: the balloons are made from a double envelope, with helium on one side and air on the other. 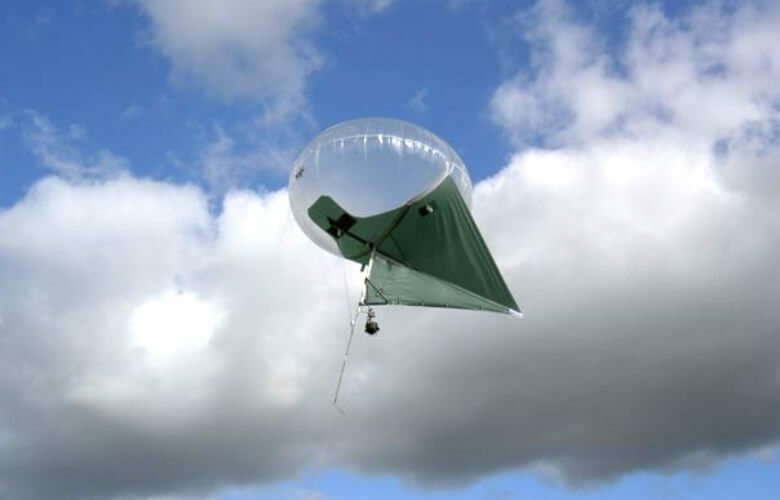 Equipped with a small compressor powered by solar panels, the altitude of each balloon can be changed, depending on the volumes of air or helium. Furthermore, using weather maps of the lower stratosphere showing the location of air currents, thanks to the compressors balloons are positioned at the correct altitude so that they fly in the intended direction. For greater accuracy, Alphabet operates not just one balloon but a whole “fleet”, or “constellation” of balloons. Although its operational efficiency in terms of reliability remains to be seen, Alphabet is essentially offering regional coverage. It also remains to find a model of collaboration with operators to offer end-to-end services. 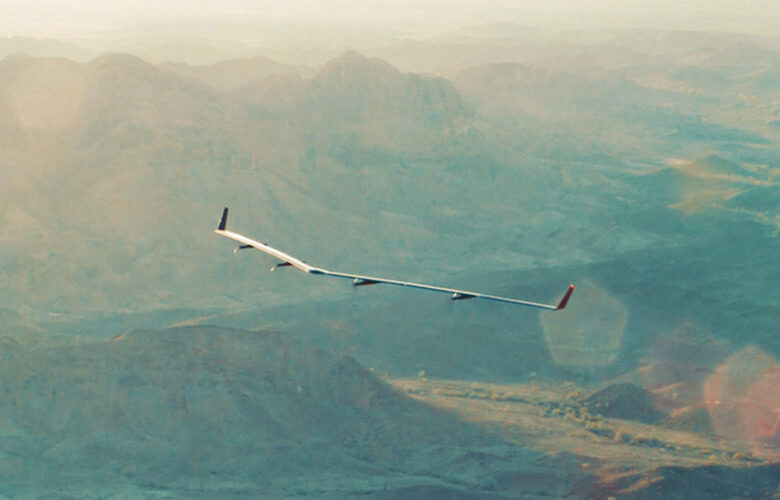 Since 2015, Facebook, through its project Aquila, has been working on launching a fleet of 100 autonomous solar-powered aircraft the size of a Boeing 737, but weighing only… 400kg each. Positioned approximately twenty kilometres above earth, they will carry on-board telecoms equipment and will be connected to each other, communicating through an FSO (Free Space Optics) laser system. Facebook intends to use it to provide internet access for all. 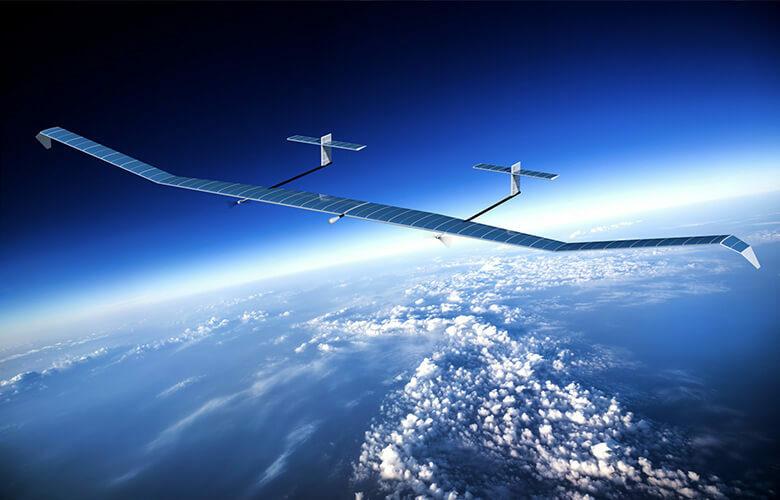 In November 2017, it was announced that Facebook and Airbus were entering into partnership to use the HAP (High Altitude Platforms) concept to expand the drone programme to a high-altitude broadband connectivity system. 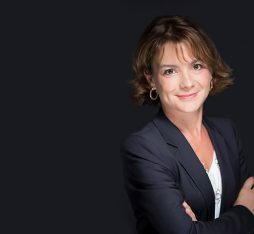 In addition to their respective mastery of stratospheric vehicle technology, with this partnership Facebook and Airbus want to collaborate to use all their influence in the negotiations on frequency allocations requested from the ITU (International Telecommunication Union). With a more limited operational field than that of traditional satellites, the Airbus Zephyr has been designed to transport payloads of several dozen kilograms for several months, using secondary batteries to supply power even at night. With this investment, Airbus intends to provide internet access to the most remote parts of the world and to offer uninterrupted connectivity to passengers on long-haul flights. 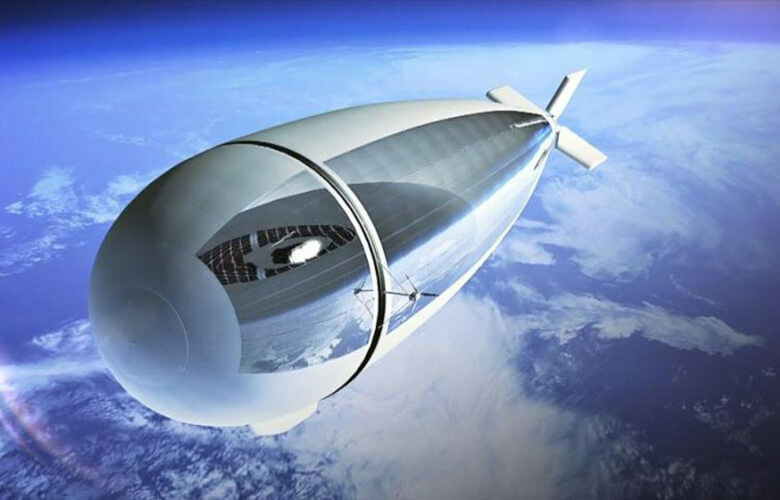 Officially announced in April 2016, the Stratobus programme was launched by Thales Alenia Space, with its maiden flight expected to take place in 2021. 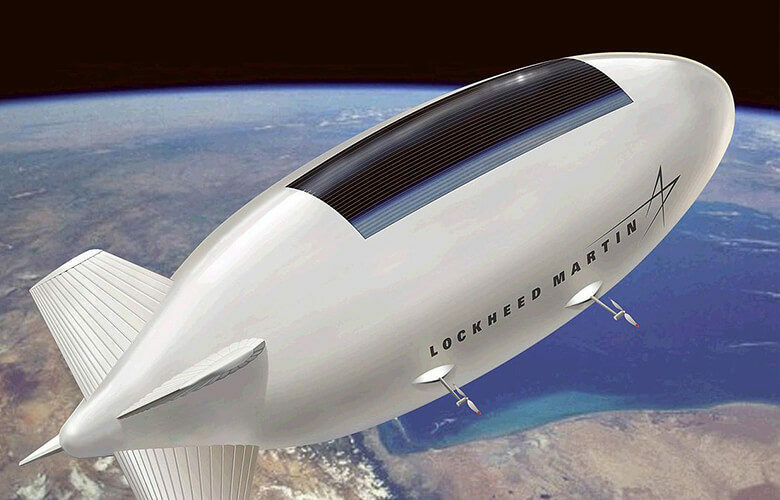 This dirigible airship will be able to carry payloads of up to 250 kilograms and will have electric propulsion engines that are refuelled from fuel cells. It is expected to be useful for telecommunications applications, providing 4G, and soon 5G, coverage. Its position in the stratosphere, 20 kilometres high, provides at least two benefits: it will provide favourable conditions for the deployment of 5G, that requires a very short latency (of just a few milliseconds), and will offer regional coverage. Indeed, such an altitude will make it possible to cover wide areas, while ensuring shorter latency than is available with satellites, in particular geostationary satellites that are still beset by significantly higher latencies. 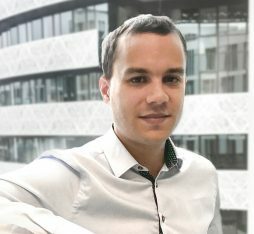 Comparatively lighter (a few hundred kg), simpler and quicker to manufacture than traditional satellites, LEO (Low Earth Orbit) constellations are expected to be launched for trial within a year. 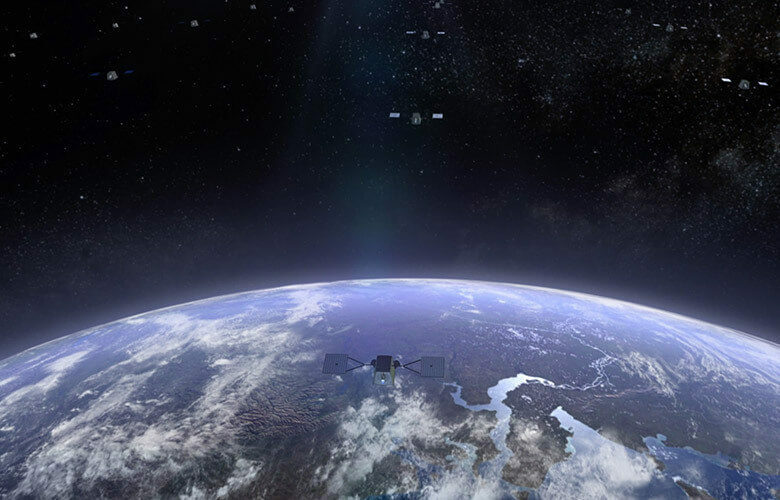 With 800 OneWeb satellites – rising to 2,400 in time — and nearly 11,000 for SpaceX, the commercial phase is expected to start in 2021. Positioned at an average 1,000 kilometres above the earth, a low orbit is easier to achieve than a geostationary orbit. They are less expensive to launch and the quality of service they provide is, therefore, improved. Consequently, we are moving away from the gigabits per second provided by the current geostationary satellites towards overall capacity of tens of terabits per second of network resources. It remains to be proven that these constellations will not interfere with the satellites already in service. In terms of telecommunications, these initiatives arouse an increasing interest. Such equipment could complement operators’ networks and allow to cover large geographic areas. This would be helpful, especially where land deployments are difficult to implement. It is also a way to deploy a connectivity which is adapted to the economic environment of the concerned territories. 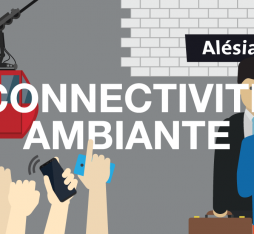 5G: at Orange, we are preparing tomorrow’s network today!